In September we published an article, Fighting Onboard Fires. We got some feed back and have published this article providing additional information. An onboard fire must be met with speed and enough extinguishing agent. Too little could result in a total loss, too much means an increased cost to recharge or replace the extinguisher. Which would you prefer? Of most importance – fire at sea requires rapid, adequate action. The Coast Guard sets requirements on items required to be onboard, but they are listed as “minimal.” When installing fire extinguishers, if a 5 BC is adequate, would a 10 BC be better and if one extinguisher meets Federal requirements, would 2 or 3 be better? Automatic Fire systems in the engine room are best for larger inboards, they have saved many lives. Hand-held fire fighting apparatus come in many sizes and types to fight various fire fuels. Make sure the tag on the extinguisher reads MARINE and comes with a mount. BC is the most common and versatile. Some agents remove heat and oxygen, others remove fuel. Each must be used in a specific manner to achieve results. You must know how to recognize the differences before acting. Locate extinguishers where you can reach one from any position on the vessel. When using a type B, C or BC extinguisher, discharge the entire container sweeping the base of the fire. Check the gauges frequently to insure they are fully charged and revert and rap the palm of your hand against the cylinder to free packed contents. Inspect the discharge area. If you see white, powdery residue this indicates a leak so service or replace the extinguisher. If fire is below deck or in an enclosed area, never open a hatch or door to a passageway without a ready extinguisher. Creating an oxygen feed will let the fire spread quickly. Do not enter an enclosed area that contained fire because it may have consumed all the oxygen and you may be overcome. Fire drills could be lifesavers. Become familiar with the fire-fighting apparatus with hands-on use. The Coast Guard trains its personnel by using an oil-soaked combustible in a burn barrel. Never use gasoline in a practice drill. Prevention is really the best protection against a fire onboard. Inspect fuel lines and containers for rub areas and loose supports; check fittings, shutoffs and connections. Look for rust and be sure each fitting has two clamps. Check wires for worn or cracked insulation that can short out and make sure wiring is securely supported. Examine wire connections including those at fuse blocks for brittle, dissolved ends that indicate poor connections or overloads that could start a fire. Check heaters, electric appliances and tools to be sure they don’t require more electricity than your boat’s wiring can deliver. Look at your flame arrestor to insure it is clean and properly mounted; check spark plug wires for worn spots. run the blower for at least five minutes before starting your engine, generator or operating an electrical device located in a confined area. Should turn the extingusher upside down and hit it. Yikes. 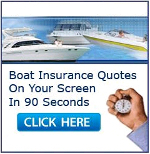 I found this article because I recently had a small fire on my boat. I wish I had read this first… especially the part about practicing with the extinguisher.